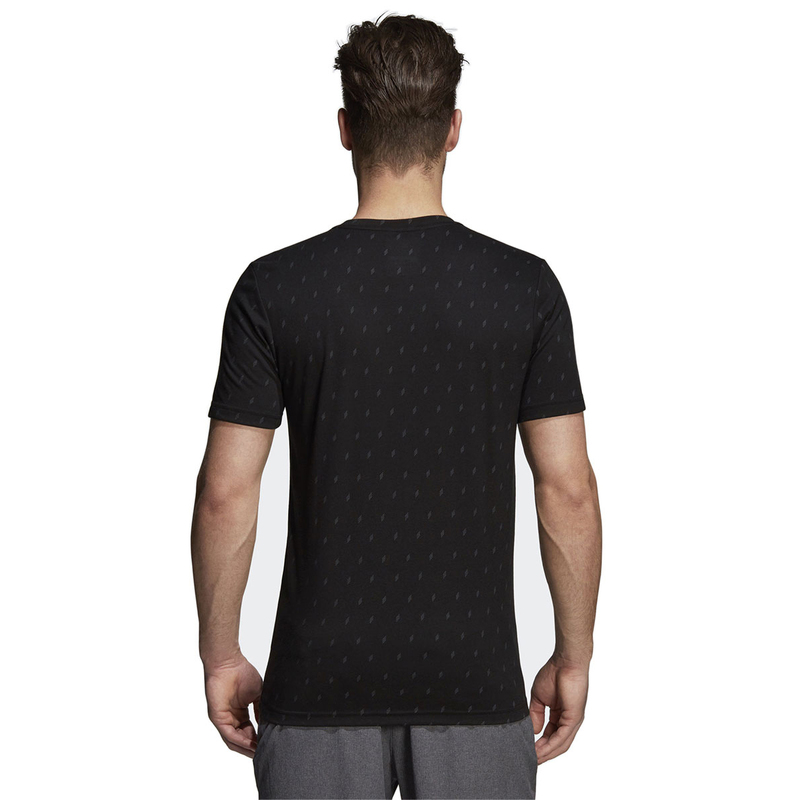 Complete comfort and relaxed feel with this T-Shirt from adidas. 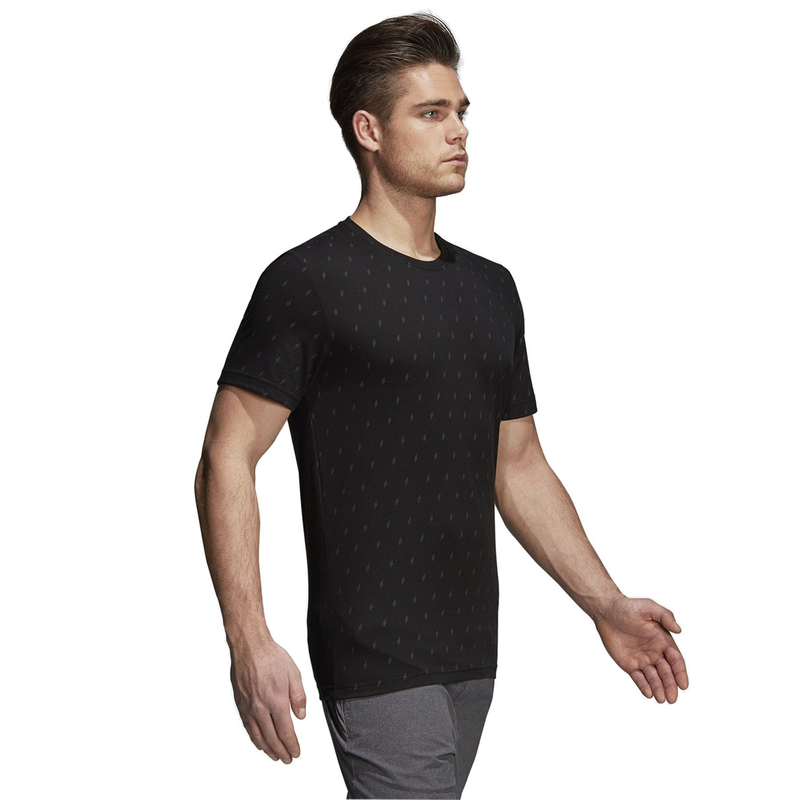 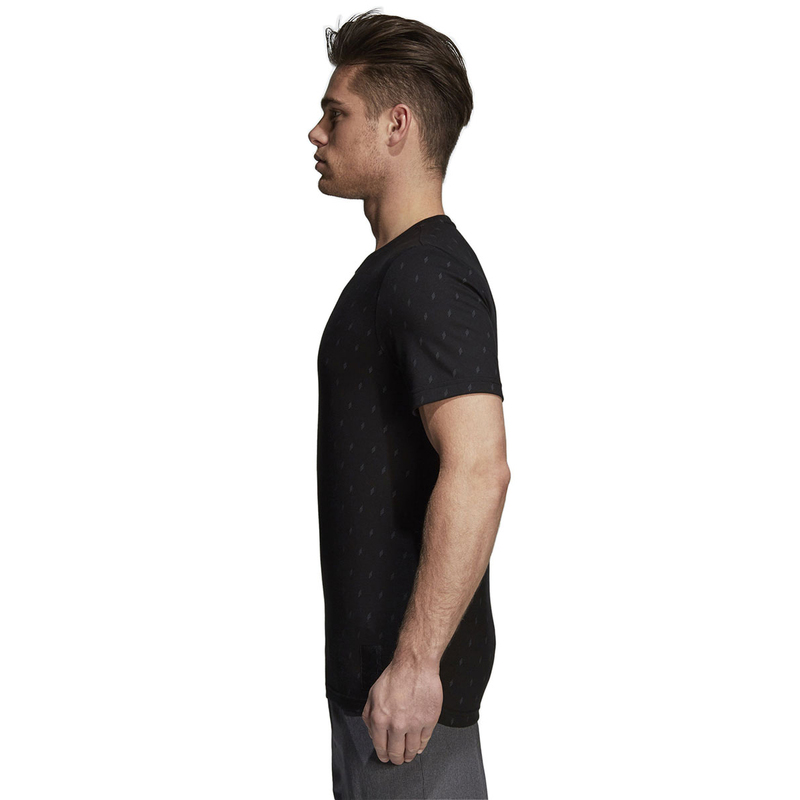 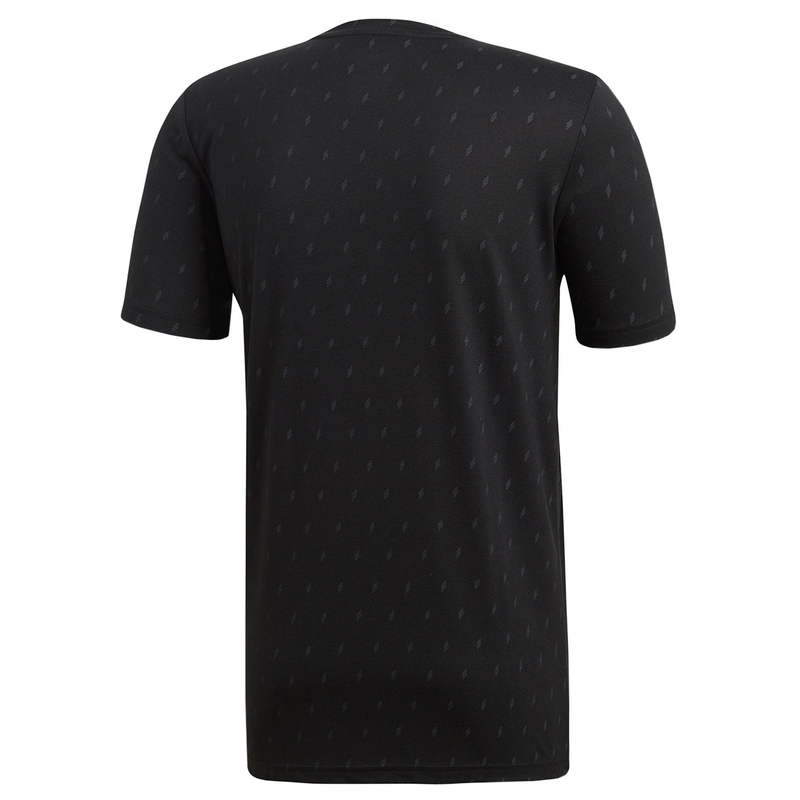 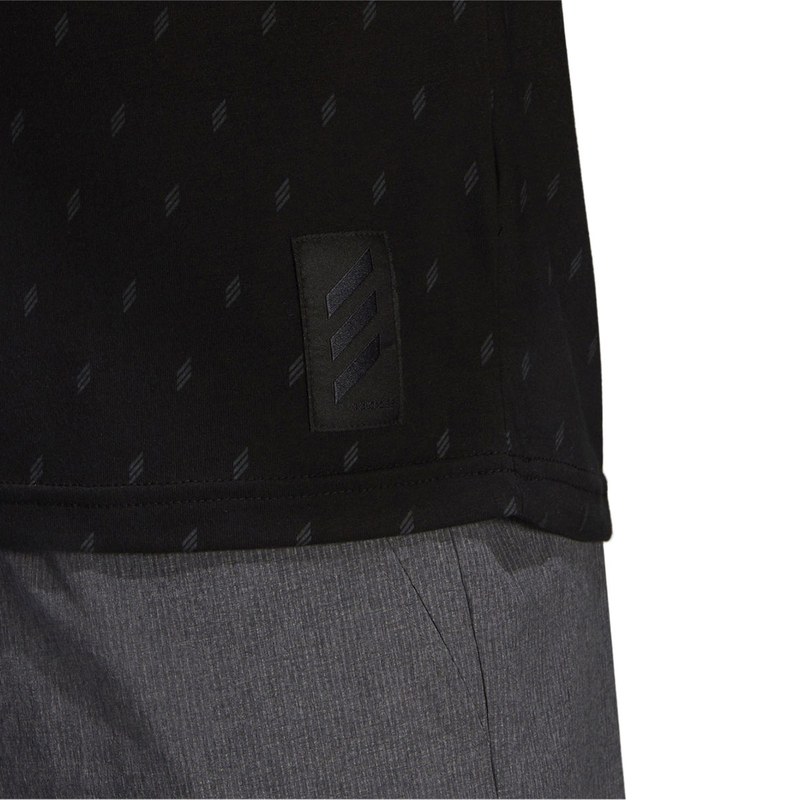 With a subtle design using the three stripe logo in miniature dotted over the shirt. 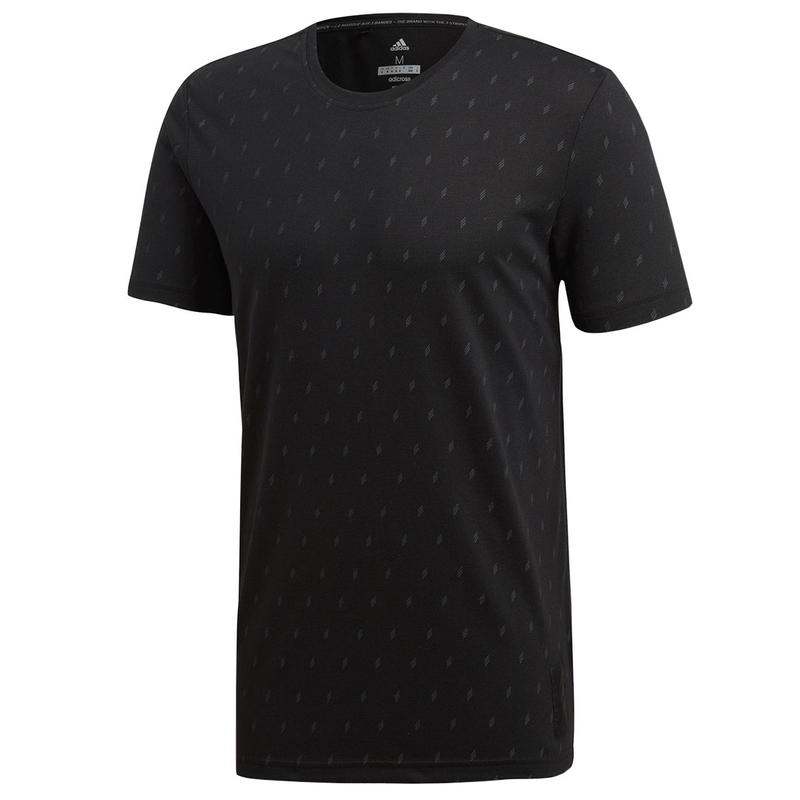 It's suitable for the course, clubhouse and even for day to day wear. 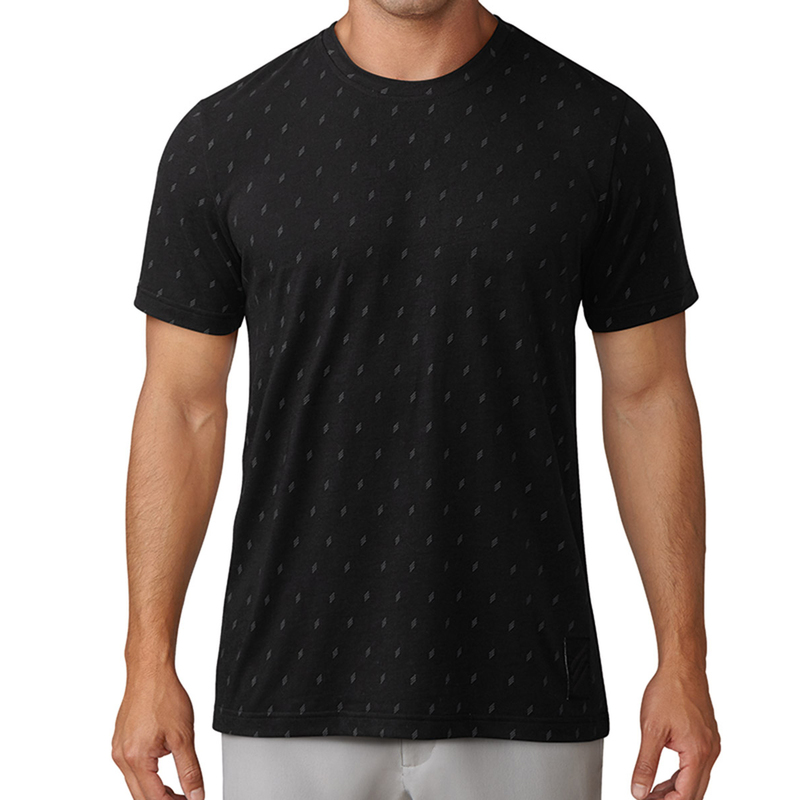 With UPF 30 built into the fabric for sun protection, and a blend of Polyester-Viscose materials, it is ultrasoft to the touch.